The #wpg14 campaign: How are Winnipeg candidates using social media? Winnipeggers are electing a new mayor on Oct. 22, and the seven people vying for the top job are using Twitter and Facebook more than ever to get their points across. But how well are the candidates using social media? Winnipeggers are electing a new mayor on Oct. 22, and the seven people vying for the top job are using Twitter and Facebook more than ever to get their points across. 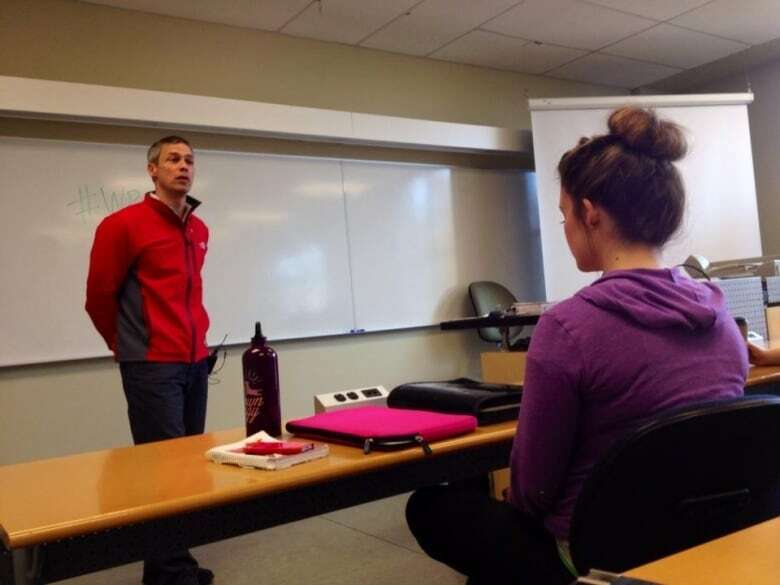 James Turner, a journalism instructor at Red River College, talks to first-year students on Thursday about the use of social media in the city's election campaign. (Alana Cole/CBC)On Twitter, candidates and voters alike are tweeting news and views from the campaign trail using hashtags like #wpg14. But how well are the candidates using social media? James Turner, a journalism instructor at Red River College's Creative Communications department, says he's noticed that candidates are using social media, but they're not necessarily engaging people in conversations. Have you reached out to the election candidates on social media? What has been your experience? Let us know in the comments below.